Your first encounter with a Browning/Pro-Steel® gun safe may be unexpected. You notice the beautiful, high-gloss enamel finish, the fine fit of hinges, welds and craftsmanship, attractive game scenes, scroll designs and the gold-plated spoke handle. It’s these features and components that are vitally important to your peace of mind and the security of your firearms and other valuables. 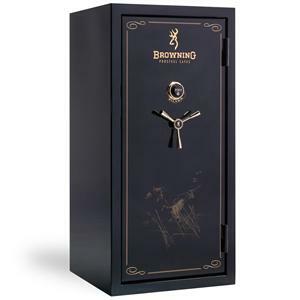 Behind the attractive looks of our gun safes are the most advanced and protective designs available. No corners have been cut, no safety or security feature has been overlooked, no fire protection option not addressed. 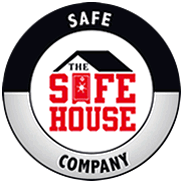 You cannot find a better-built safe for your firearms and other valuables, anywhere. Inside our gun safe doors you’ll find the finest locks, the most reliable and protective cam locking systems and the best lock protection barriers and attack-resistant walls to fortify your firearms against unwelcome intrusion. Browning Pro/Steel gun safes also provide the best protection against fire. With multiple layers of high-density, fire-resistant insulation and a high-temperature fire seal surrounding the perimeter of the door, your valuables have excellent protection. Your collection of fine guns and other valuable heirlooms deserve the best protection you can give them.